ESWT is a fast and gently non-surgical method of reducing heel pain. It is derived from lithotripsy, a technique used today to disintegrate kidney stones without the use of invasive surgery. The EMS device delivers pneumatically-generated high pressure shock waves that travel through the skin. Inflamed soft tissue and bone calcifications that receive these high energy pulses will heal stronger without harm to the surrounding tissues. Electricity is not sent into the body. High energy pulsations of ultrasonic waves stimulate the body’s natural self-healing process. ESWT is especially beneficial for patients that have chronic heel pain and have not had much success with traditional therapies such as medications, orthotics, or injections. If you suffer from plantar fasciitis, heel spur syndrome or Achilles tendonitis, you are a candidate for this treatment. This treatment is reserved for special cases where other treatments did not provide adequate relief of pain. 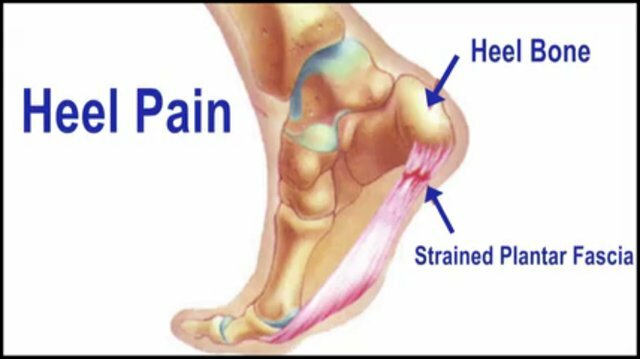 ESWT is a very safe treatment, however is not recommended for use of heel pain in children, pregnant women or people currently taking medications that inhibit blood clotting. The trigger point, or sore area over the heel will be located and marked. Ultrasonic transmission gel is applied to the foot. The ESWT hand piece is then positioned to gently and extensively transmit shockwaves over the injured area. The feedback you provide helps to determine the fine positioning of the applicator and the measurement of the impulse frequency. Once you are comfortable at a low level, the energy is gradually increased over several minutes. A typical session lasts about 15 minutes. Overall healing continues for 3 months after the last treatment. Success rates with this treatment is approximately 70- 80%. There are virtually no side effects with ESWT. Some patients may experience a short period of slight tingling, warmth or numbness immediately after their treatment. In the past, for those patients who failed the benefit from conservative treatments, surgery was the only approach left to treat this condition. However, with the availability of the new Extracorporeal Shock Wave Therapy (ESWT) technology, there is now an effective non-surgical method to reduce heel pain. ?What are Lynco Shoe Inserts? After experiencing constant foot pain for months and months, I can now say I am a 1 out of a 10. Carla Y.